They host a week long readathon several times a year and I try to participate as best I can every time. Some rounds are better than others. I’ve really been in a reading mood lately so this round is hitting at the perfect time. I normally try to put a TBR together but lately my moods have been changing so much that I’m going to keep it open. I am still going to give myself goals to reach though. Read at least an hour every day. Read at least 500 pages. Finish at least one book. Participate in at least 3 daily challenges. Are you participating in this round? Another readathon completed! I Had such a nice relaxing and very cozy day filled with reading. I ended up sleeping in so I missed the exact start time but still ended up reading for about 13 hours. I started off with a graphic novel, Saga vol. 8. It was really good! I love that series so much. 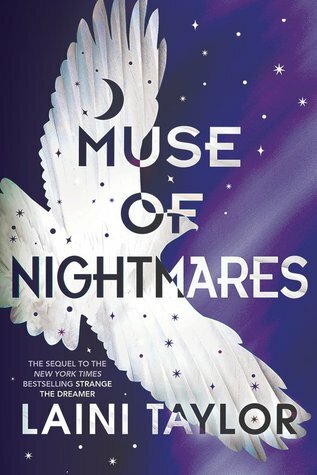 Then I started Muse of Nightmares by Laini Taylor. Since this book was my most anticipated read of 2018, I didn’t want to rush through it so I took my time and decided to stop at page 153 so I could spread the book out over a few days. 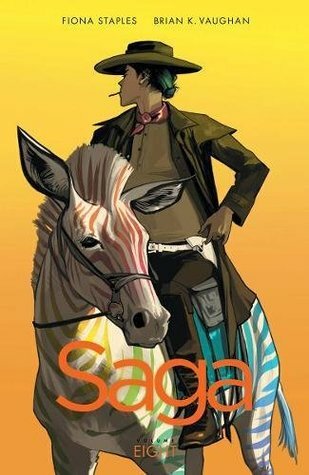 Next I read Saga vol. 9 which is the most recent release. It was fantastic but omg that ending! I need the next volume ASAP! 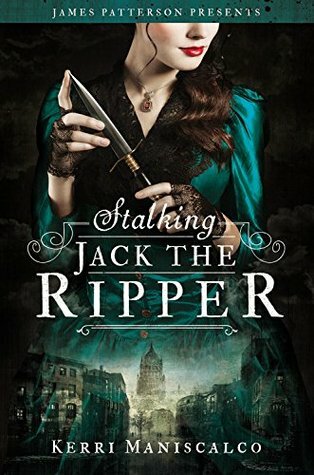 Next up was Stalking Jack the Ripper by Kerri Maniscalco. I had heard so many great things about this book. I really enjoyed it! Several twists and an ending I didn’t quite see coming. I can’t wait to read the next book. 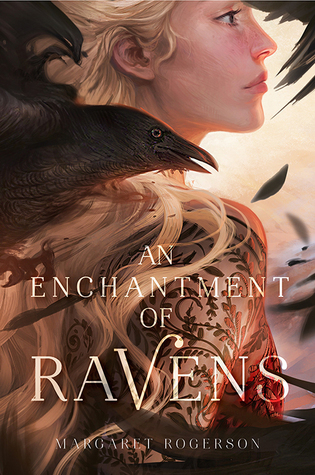 After I finished that book, I started reading An Enchantment of Ravens by Margaret Rogerson. I am really liking it! I only read 113 pages of it before I got tired and decided to go to bed at 1 am. Overall I would say I had a very successful readathon! I’m already looking forward to the next one in April! October 2018 Dewey’s 24-Hour Readathon! Hey everyone! Sorry I’ve been MIA again. We had a busy week last week with our good friends getting married. My husband was a groomsman so we had lots going on. This week we are in the midst of preparations for our Oktoberfest party that we are having with those same friends that got married last weekend. The past few years we have gone down to a brewery we all love for their Oktoberfest celebration but this year we decided to have our own shindig. We’re going to have lots of beer and German food all day on Saturday. I’m really excited for it! Anyways, on to the reason for this post. 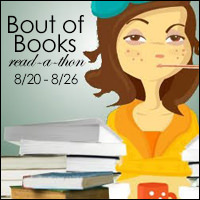 It is almost time for the next Dewey’s 24-Hour Readathon! It will be happening next weekend on October 20th. In the past I have ALWAYS had something come up on the day of the readathon so I never get to read as much as I would like to. But this year, and I hope I’m not jinxing myself, we have NOTHING on the schedule! It’s a miracle! I told my husband that we, or at least I, will be doing absolutely nothing but reading the day of the readathon. If you haven’t heard of Dewey’s 24-Hour Readathon, it’s pretty self explanatory. On October 20th the readathon starts at 8 AM EST (you can find your time zone and start time here). For me that will be 7 AM. And for the next 24 hours you can read and post about the books you’re reading on Twitter, Facebook, Goodreads, your blog, etc. There are mini challenges throughout the day but you don’t have to participate in them if you don’t want. It only happens twice a year, April and October, so that makes me even more glad I’m able to fully commit this time. I’m going to continue reading books from my October Halloween TBR. I’ll probably post my TBR the day before as I’m not quite sure what books I will have left in my stack to read by then. Well, it has been a busy few days for me so I’m a little late on posting this. I feel like I had a really successful Bout of Books week which made me really happy since I was coming out of a reading slump before that. I started my new job on Monday so I’ve been a little stressed out with all of the changes so I haven’t read much since Sunday night. I finished four books and I ended up starting two others. I started Daughter of Smoke and Bone by Laini Taylor but then I ended up getting my hubby to watch the To All the Boys I’ve Loved Before movie so I REALLY wanted to read the sequel. I ended up deciding to just splurge on the Kindle edition since my boxed set still won’t be here for another week yet. Another successful day of reading under my belt. We spent most of the day working on some house projects. Our entryway chandelier was SUPER ugly – brass and glass. We had bought a new one to replace it months ago but finally got a ladder tall enough to switch it out. We have really high vaulted ceilings in the entryway and living room. Our new one is awesome and works so well with the decor theme we’ve got going on. We also finally got up my new ceiling fan in my library room. The old one that was there when I was growing up died a long time ago and my parents never got around to putting up a new one, which I’m kind of glad about because then I got to pick out the one I wanted. So now I’ve got some air movement in my room which helps to make it feel less like a basement room. The rest of the day I spent in my library doing various things and trying to think of what I was in the mood to read next. 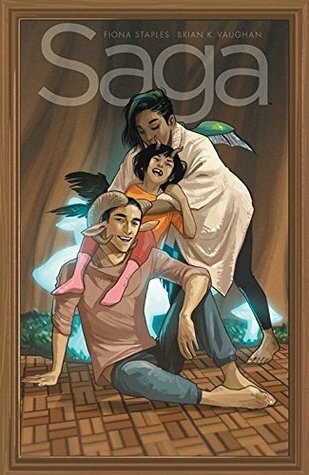 I wasn’t really sure what I was in the mood for so I ended up grabbing the next graphic novel volume of Saga and reading the whole thing. It was good but in my opinion not as good as some of the previous volumes. Today is the last day of the readathon so I’m hoping to get in some good reading today. Still not quite sure what I’m in the mood to read though so I’ll have to figure that out first. If I end up not figuring out what I want to read and end up just leaving my stats where they are, I’ll still be happy because I exceeded my unspoken goal of reading at least 1,000 pages and I finished 4 books.